Hazards in the Home: Protect Your Children from this Common Household Danger - McIntyre Law P.C. You would expect your home to be a place where your children are safest. Many new parents take great care to “baby-proof” a home by searching high and low for any potential hazards to their precious little ones. Thankfully, the U.S. Consumer Product Safety Commission helps to ensure that products are tested and safe for use in the home. But, it can’t prevent every accident, and there’s one very common household item that continues to be a leading cause of strangulation deaths in children under age five: window blind cords. 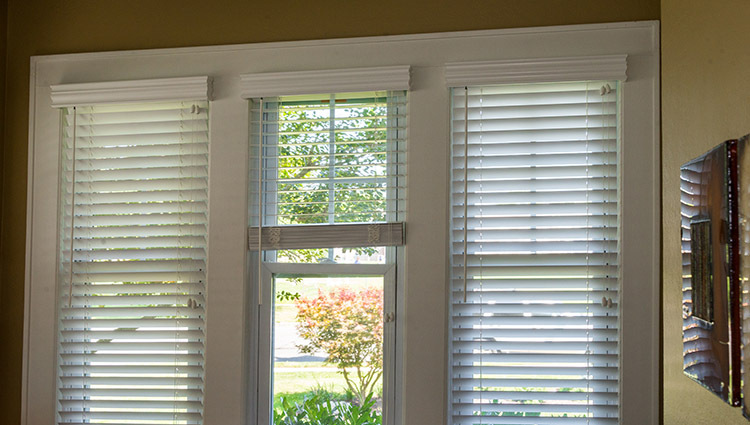 While the CPSC regulates how certain items are designed and manufactured, the window blind industry is in control, in this case, as to what safety precautions are taken. Therefore, the current standards are voluntary (i.e. not mandatory) and have not been enough to protect children from this common household danger. A child can die of strangulation from a window blind cord in less than a minute – that’s what happened to Colton Shero, who was two days away from his second birthday. His mom thought that he was napping, and when she went to get him, she found that a window blind cord was wrapped around his neck. She had only left him alone for a few minutes, and, sadly, that is a decision that will haunt her forever. In the past 30 years, over three hundred children have died from being strangled by window cords. Another 165 have been injured in ways that include permanent brain damage and quadriplegia. Lower the blind to the position it would be in if closed and tug the cords so that they are locked into the correct spot. Pinch a section of pull cord together and hold it. Slide the plastic disc (cord stop) over the pinched cord in order to form a loop that threads through the disc. Take the bottom of the same cord and pull it through the loop, tugging it into a loose half-knot (under the disc). Set the disc to about two inches below the blinds’ head rail and tighten the knot. The bottom of the cord should be above the bottom window sash when the blinds are closed. You can cut them above the plastic tassel to shorten them to a safe length, and then re-thread the tassel onto the cord and secure with a knot. Repeat this process for each pull cord on the blinds. Of course, the best course of action would be to replace your old blinds with child-safe versions if you can. But, since the regulations on the industry are weak, don’t rely on the box to tell you if the blinds are safe. Evaluate any product that comes into your home with your own common sense to see if there’s a possibility for danger. Any window blind with a cord can be dangerous if the cord is not kept out of a child’s reach. If you or someone you love has been injured by a dangerous product, we’re here for you. Our team of products liability lawyers is ready to help you get compensated for your injuries. Call us today!